Fearless Prediction: The Braves look to continue their dominance in the Eastern Division of the SWAC in 2017 by making it 4 straight Division titles. The last loss that Alcorn has against any opponent in the Eastern Division took place on November 22, 2014 against Jackson State. Alcorn has a disappointing 2016 campaign with a 5-6 record but still managed to make it to the conference title game despite have an injury riddled year. Alcorn starts the season vs D2 Miles College but then has a brutal 7 week stretch in the schedule that includes FBS Florida International, McNeese State, Southern, visits to Texas Southern and Alabama State, Prairie View, and finally a visit to Grambling. Impact Player: LB Darien Anderson led a defense that was third in the conference in 2016. He earned FCS All-America honors after a season in which he was a permanent resident in the opposing team’s backfield. Anderson finished the year with 18 tackles for loss and 11 sacks. Fearless Prediction: Brian Jenkins left Bethune-Cookman after the 2014 season with an impressive resume which included a 46-14 overall record, a conference record of 34-6, 3 conference titles in 5 seasons, and 3 trips to the FCS Playoffs. Entering year 3 in Montgomery Jenkins has a 10-12 record and only 8-9 in the conference. The Hornets will have a new signal caller this season with the departures of Quinterris Toppings and Jujuan Young-Battle. Quarterbacks on the roster who could step into that starting role include Arkansas State redshirt freshman transfer Darryl Pearson Jr., freshman Jimmy Ferrell, sophomore Kobie Jones or redshirt junior David Whitlow. A key for Alabama State in 2017 will be to become more disciplined as the Hornets committed nearly an average of 100 penalty yards per game (96.5 per game) as it led the league in that category. Impact Player: LB Darron Johnson was an impact player for the Hornets last season as a freshman and is the team’s leading returning tackler with 67 stops a year ago. As Johnson goes, so does the Hornets defensive unit. In 2016, Alabama State ranked second in scoring defense (27.4 allowed points per game), fifth in total defense (401.8 yards allowed per game), second in rushing defense (132.0 yards allowed per game) and ninth in passing defense (269.8 yards allowed per game). If Alabama State is to contend for the title those numbers must improve in 2017 and Darron Johnson is the key for that improvement. Fearless Prediction: It’s been 6 years since Alabama A&M has reached the SWAC title game and the fans on “The Hill” haven’t enjoyed a winning season since 2012. James Spady is in year 4 and to say this he’s on the hot seat is an understatement. Spady is 11-23 at Alabama A&M and 2017 starts off with 3 straight games against FBS foes. On the bright side the Bulldogs return their entire starting offensive line and one of the top running backs in the league in sophomore Jordan Bentley. James Spady announced that true freshman Aqeel Glass will start at quarterback for the Bulldogs. A key for the Alabama A&M defense in 2017 will be to get more pressure on opposing quarterbacks as no individual Bulldog player ranked inside the top 20 in sacks and the team totaled a league-low nine sacks. Impact Player: Leading the Bulldogs defense will be senior LB Kenneth Davis, who ranked second in the conference in tackles with 98 and had 10.5 tackles for a loss. Davis and the defense will have to play lights out until true freshman QB Aqeel Glass get up and running. Fearless Prediction: Jackson State hasn’t been the same since Coach Rick Comegy was fired after the 2013 after a conference title game loss to Southern. Since that time Jackson State has only won 11 games total and are on coach #2 since the Comegy regime. Coach Tony Hughes has done a great job of assembling talent in Jackson but now that talent must produce. Jackson State will field a young team as it has 40 new faces that have never played a down at JSU whether they are incoming freshman, redshirts or transfer student-athletes. With a team so young Jackson State starts the season with TCU before headed to Memphis to play rival Tennessee State in The Southern Heritage Classic. In 2016, the Tigers ranked eighth in scoring offense with 18.5 points per game, was eighth in total offense (308.5 yards per game), eighth in rushing offense with 103.5 yards per contest and seventh in passing offense with 205.0 passing yards per game. Last season, Jackson State prided itself on playing rather stingy defense as it ranked fifth in scoring defense (28.8 points allowed per game), second in total defense (348.9 yards allowed per game), third in rushing defense (160.9 yards allowed per game) and were the top team in passing defense (188.0 yards allowed per game). 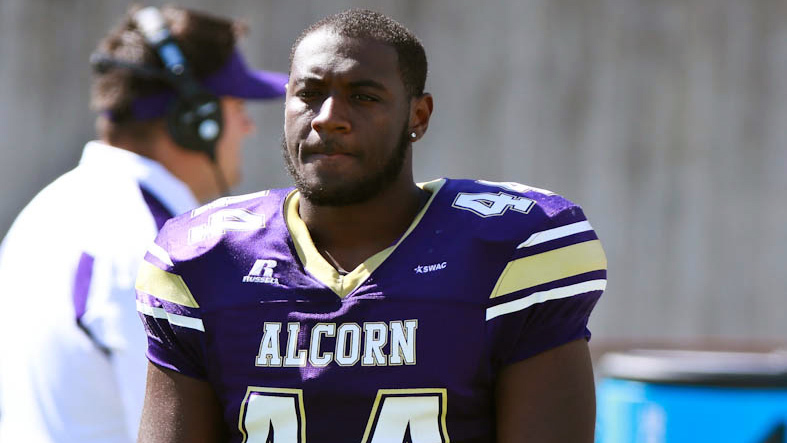 Impact Player: DL Keontre Anderson enters the season as the SWAC’s Preseason Defensive Player of the Year in his return as the top guy on the team in tackles (55), sacks (tied for the most second most in the conference with nine) and tackles for a loss (25.5 led all FCS players). A big question will be how teams adjust to him without top run stuffer Javancy Jones (fourth most tackles in the SWAC with 82, four sacks) who has graduated. Fearless Prediction: Is this the year that Mississippi Valley State crawls from the cellar of the Eastern Division? The Devils have one of the most difficult schedules in the country. Valley opens up with FCS powerhouse North Dakota State, then visits Southern Illinois, then host Grambling, and then visits Charleston Southern. Not a great schedule for a team that went 1-10 a year ago, ranked ninth in scoring offense with 14.0 points per game, and will feature a new quarterback. Defensively the Devils were just as bad as the offense last season ranking 10th in scoring defense (45.8 points allowed per game), eighth in total defense (446.1 yards allowed per game), eighth in rushing defense (200.7 yards allowed per game) and eighth in passing defense (245.4 yards allowed per game). The Delta Devils defense will have to improve their red zone defense as the team allowed opposing teams to score a league-high 37 touchdowns in that situation and tied for the worst red zone defense as it allowed teams to come away with points 89.6 percent of the time. Impact Player: DB Everett Nicholas was named preseason first team all-conference during the conference’s media day. Everett Nicholas lead the Mississippi Valley State defense a year ago and is expected to be a big contributor for the Devils this season, leading the secondary which is the strength of this team. 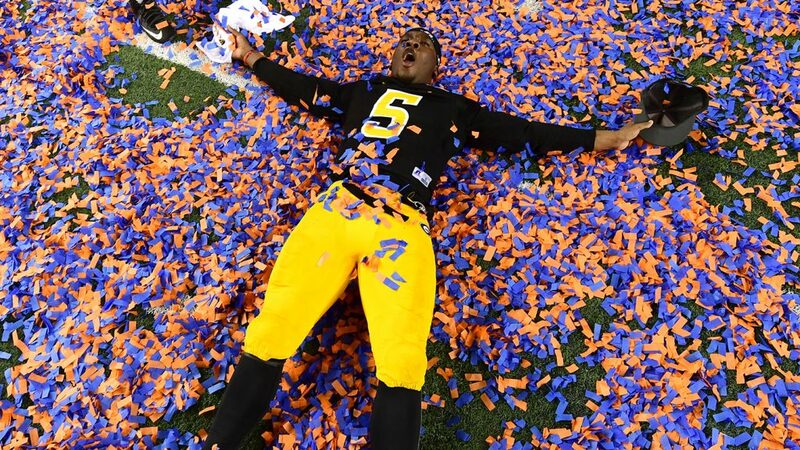 Fearless Prediction: Some schools rebuild others reload and Grambling looks like they’ve reloaded from a season in which they captured the SWAC title, The Celebration Bowl, and became HBCU football National Champions. The Tigers return Offensive Player of The Year Devante Kincaid and All-Conference running back Martez Carter. Along with that, wide receiver is a potential area of concern as nearly 75 percent of Kincaid’s yardage and touchdown totals left with the graduation of Arizona Cardinal Chad Williams and Verlan Hunter among others. DeVohn Lindsey projects as the top weapon out wide, but the preseason second-team All-SWAC pick as well as names like Darrell Clark must come along quickly as Grambling looks to remain as potent offensively as they were last season. Impact Player: When Grambling is mentioned most people bring up the explosive offense, but De’Arius Christmas leads a Grambling Defense that’s one of the best units in FCS. A season ago Christmas recorded 69 tackles and the Grambling defense finish the season as the number one unit in the conference and ranked in the top 20 in total defense and scoring defense. If Grambling is to have a repeat of 2016 Christmas and the defense must be stellar again this season. Fearless Prediction: Southern lost the SWACs all-time leading rusher, Lennard Tillery who’s now with the LA Rams and the school’s all-time leading receiver Willie Quinn. Quinn and Tillery combined for 2,962 yards from scrimmage and accounted for 57% of Southern’s total offensive production. The Jags return Austin Howard at quarterback who enters his fourth year as the starter which is good news for an offense that’s full of young talent. While Southern does have questions and potential answers –on offense, the Jagaurs’ bread may be buttered on the defensive side of the ball, as Southern stands to return arguably the most experience unit in the league. Aaron Tiller (60 tackles, 17.5 TFL, nine sacks) is back for his senior season to lead the pass rush, and Kentavious Preston (60 tackles, 9.5 TFL) anchors the linebacking corps along with Tiller. In the secondary which is probably the strength of the team, based on returning personnel ballhawk and STATS FCS Preseason Third-Team All-American Danny Johnson (52 tackles, 16 PD, 7 INT) returns as the catalyst for the unit that led the conference in interceptions with 19 last year. Senior Jamar Mitchell (3 INT) is also back, giving Southern perhaps the best cornerback tandem in the conference. Impact Player: RB Herb Edwards finally gets a chance to carry the load after spending three seasons behind Lennard Tillery. Edwards played sparingly prior to his senior season but he has been the buzz of summer camp and has a reputation of being a big play back while at St.Augustine High School in New Orleans where he spent two seasons backing up a well known running back by the name of Leonard Fournette. Fearless Prediction: After failing to live up to preseason prognostications in 2016, the Prairie View Panthers are back on the prowl and head into 2017 feeling like this is the year to step up as a title contender. The reason for that is simple: the team has the luxury of returning virtually every key contributor on both sides of the ball from last year. Despite scoring a shade under 33 points a game, the Panthers’ offense was occasionally hindered by erratic play at the quarterback position. Thrown into the fire last season, the 6-foot-4 230-pound Morton flashed ability as a dual-threat signal caller albeit with some growing pains – that can add a new dimension to an already explosive offense. Who wins the quarterback battle and the subsequent play at the position will be the determining factor if the Panthers’ offense is to return to its dominant 2015 form, when it led the nation in points per game (44.9 ppg). Defensively, PVAMU returns eight starters, the most notable of them Preseason All-SWAC First Team defensive tackle DeVohn Reed (40 tackles, 11 TFL, 8 sacks), who stands as one of the top pass-rushers in the conference. Additionally, Jalan Coleman and Steven Guillory provide a steady presence at linebacker, and the secondary returns key contributors like Raleigh Johnson (58 tackles, 2 INT) and Arthur Lockett (41 tackles, 1 sack, 3 INT, 8 PD). Impact Player: If Prairie View is to make it to the post season the defense most improve. A key to that improvement is DB Arthur Lockett, who has grown into one of the best defensive backs in the conference. A year ago Lockett recorded 41 tackles (30 solo) with 5.0 TFL, 1.0 sacks, two interceptions. Fearless Prediction: After finishing 2016 in the top half of the ranks in several defensive statistical categories on its way to doubling its win total from the season before it, Texas Southern is tasked with building on that progress while replacing several starters.The Tigers made a two-game improvement under the direction of Coach Michael Haywood, finishing 4-7 (4-5 SWAC) in 2016, good for fourth in a strong Western Division. As Haywood enters his second year at Texas Southern, finding consistent impact players can go a long way in the Tigers’ designs on breaking through the logjam atop their side of league standings. Texas Southern’s schedule is manageable through the first 4 weeks and they have the potential to go into a home game in late September vs Alcorn at 3-1 or better. The Tigers do return some key pieces, predominantly on defense. Led by linebacker Sean Jones, an All-SWAC First Team Preseason selection, Texas Southern should have plenty of proven talent on that side of the ball. The defensive line may be a point of concern, as most of TSU’s key performers in the trenches have graduated. The defense – while sound and very much a “bend-but-don’t-break” corps – will also look for more splash plays, as the Tigers were in the bottom half of the league when it came to sacks and interceptions. 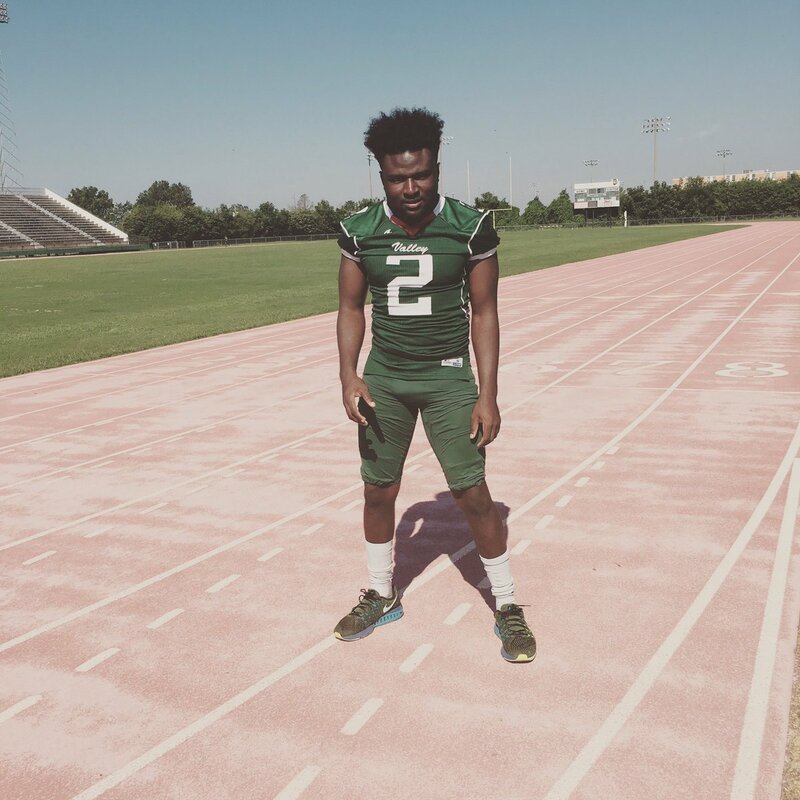 Impact Player: DB Sean Jones, an All-SWAC First Team Preseason selection, Texas Southern should have plenty of proven talent on that side of the ball. Jones made 77 stops (10 for loss) to go with three sacks in 2016, and should be a top defender in the conference this season. Fearless Prediction: The 2012 Championship season seems like it was a lifetime ago for fans of the Golden Lions. Since 2012 the Lions are 9-35 overall and are 9-29 in conference games. The Lions haven’t more than 4 games in a season 2012 and the momentum from the 2012 season has come and gone. Arkansas-Pine Bluff is counting on a host of newcomers to contribute as it seeks to escape the Southwestern Athletic Conference’s Western Division basement. The Lions open the season with a winnable game at home vs. D2 Morehouse which is a great game to get the newcomers adjusted to playing at the collegiate level. Along with young talent the Golden Lions will return seven starters on offense and eight on defense. Not a lot is expected from this Golden Lions squad as the lone member of the conference’s preseason team was punter Jamie Gillan. Gillan, a 6’2 195 pound punter, with the size of a defensive player, last season averaged a conference best 41.5 yards per punt. Offensively the Golden Lions only averaged 13.6 points per game which was one of the worst averages in all of FCS football. The defense was also woeful a year ago allowing 42.1 points per game and 464 yards per game. Impact Player: UAPB hasn’t had a lot of things to smile about on the field since but DB David White gives the Golden Lion faithful a glimmer of hope. Last season recorded 55 total tackles and lead the team with 10 pass breakups. 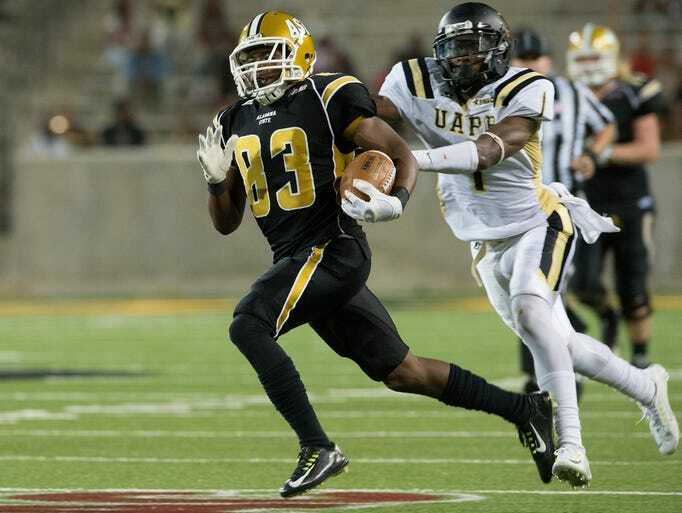 If UAPB escape the basement of the conference, David White and this defense must have an exceptional year. BJ Jones is an HBCU contributor to College Sports Journal.